[Book extract] As is everyone, he was respectful of the old Mahatma, but he wasn't respectful to the weapon of the fast. Muslims ''will have the position of negroes in your country'' is only one of the many things Hindu ideologue Vinayak Damodar Savarkar says to his American interviewer Tom Treanor. Charming man, wasn't he? 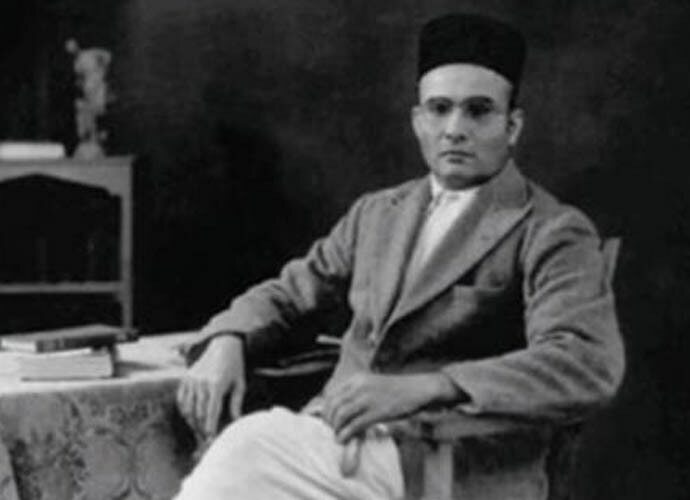 There are many attempts currently to portray Savarkar not only as a nationalist icon but also as a modernist who supported social reform, but a read through of this 1944 interview of Savarkar by the seasoned American war correspondent Treanor should disabuse anyone of that notion. "Would you wish that I should confess to you everything?" asked old man Savarkar, head of the Hindu Mahasabha. I hadn't meant to ask the old man an awkward question. I thought it was a matter of record. I thought he'd been convicted and served his term. He'd already said they wanted to hang him but that he'd gotten out of it with a sentence of 50 years. But that was for something else, apparently. It was to my question whether he had actually thrown the bombs which killed the high government officials in England that he said: "Would you wish that I should confess to you everything?" He intimated it was some other fellows but he wouldn't say who. That was a long time back, war. At the beginning of the century when Savarkar was sowing his wild oats as a terrorist. It was a story-book time when Indian revolutionaries threw bombs with fuses that they lit with a match. That was Savarkar's time as a revolutionary in London and later in India. That was when some of his fellow terrorists ("But not me," said Savarkar. "I was a hundred miles away.") threw a bomb at a viceroy, Lord Hardinge. "Did it hit him?" I asked. "It knocked him off an elephant," said Savarkar without exhibiting either contentment or regret. "Did it hurt him?" "I suppose so. He was six months in hospital with his spine." Them were the days. But that sort of stuff isn't done to viceroys any more. That was before Mr Gandhi introduced his specialty of attacking viceroys by swearing off food. Savarkar is quite a sight to Western eyes. He's a leading politician at the head of the Hindu Mahasabha, an organisation dedicated to giving India to the Hindus and taking it away from the British and Mohammedans. If Savarkar has his way, the Mohammedans will get what is known in the trade as sweet damn-all. It's the sort of attitude which makes Mr Jinnah argue for Pakistan, which is the plan to allow the Mohammedans to secede from the Hindus. I will give you an idea. "How do you plan to treat the Mohammedans?" I asked him. "As a minority," he said, "in the position of your Negroes." "And if the Mohammedans succeed in seceding and set up their own country?" "As in your country," said the old man, waggling a menacing finger. "There will be civil war." Savarkar was not especially dressed for the occasion. He looked his worst. His sunken cheeks were unshaven, his perfectly round metal-rimmed eyeglasses were specked, and he was dressed in a soiled length of cloth which looked like a nightgown and was insecurely fastened in front with silver studs, some of which were missing. But he didn't appear to care. He is interested in ideas. I didn't tell him that in America people consider political ideas dull. He apparently doesn't suspect it. When he talked over his plans he seemed to see a great American political audience with a voracious appetite for Indian politics. His voice would become like a phonograph and he would go on and on, braiding and unbraiding a tired handkerchief while he carried on about the Hindu Mahasabha. I suppose he's a little fanatic for our taste. But he has a certain power of personality and is definitely a figure of some importance on the Indian political scene, particularly now that many of the leading Hindus are in jail along with the Mahatma. To Savarkar it must be rather odd to be almost the only one not to be detained. As a consequence of his terrorist activities he was sentenced to 50 years in all. The first 14 he served in solitary confinement on the Andaman Islands, when the "old war", as he called it, broke out. Then he was transferred to the mainland and spent another 14 years interned in a village. Six years ago he was set free. How he managed it I don't know, but despite all this confinement he was enough in tune with the spirit of the times to get into the political whirl and come to the top of a strong minority party. He's a real story, is old man Savarkar. I got him on the subject of Gandhi and fasts. As is everyone, he was respectful of the old Mahatma, but he wasn't respectful to the weapon of the fast. I judge he thinks fasters - always excepting Gandhi, who is in a special category even to his political opponents - should be fed through the nose with milk. In any case, he used that expression several times. "If a fast is so effective," he asked, "why doesn't Churchill fast against Hitler? What would Hitler say?" I didn't know. "He'd say something rude," said Savarkar. Then he talked about America's interest in India. As an old terrorist, he did not gush the usual sentimentality about America helping India because America's heart is pure. "The world is run by self interest, not the Bible," he said. "What is your self interest in India?" He offered that our self interest was as a fighting base, now and in the future. He foresees a long fighting future before we get the world settled and thinks we would be smart to have a little Indian goodwill. (So do I. But for a couple of years we've been losing our store of Indian goodwill. I don't think it's our fault. But nonetheless it's true.) "So why not oblige India?" he asked. "You'll need her some day." 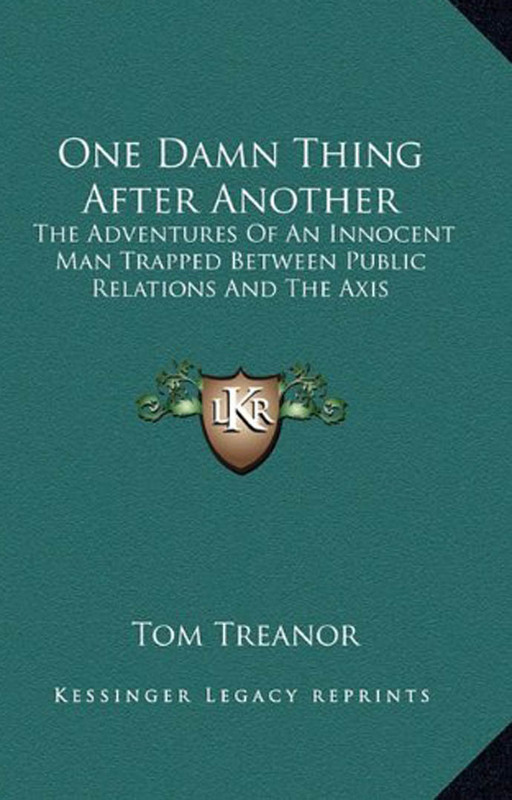 Author was a seasoned American war correspondent.